Just across the bridge from Philadelphia proper in West Berlin, New Jersey, you’ll find an amusement park populated with authentic digging machines. 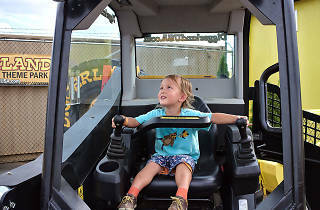 Kids can drive tractors across wide swaths of dirt and climb up into the cab of an excavator and maneuver the gears to dig a deep hole. 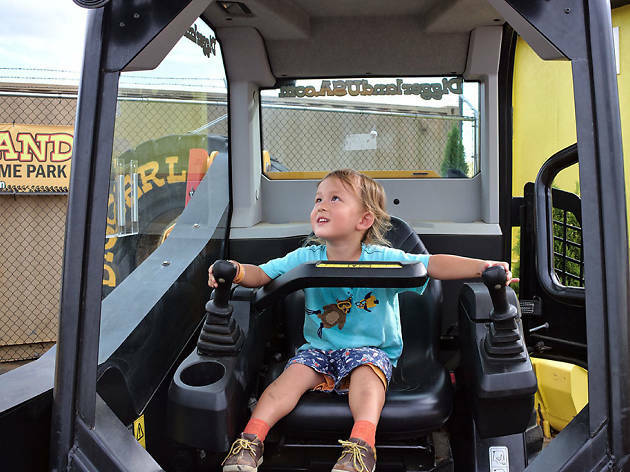 Smaller kids can ride on parents’ laps or choose the smaller machines to try out. Hard hats not required!